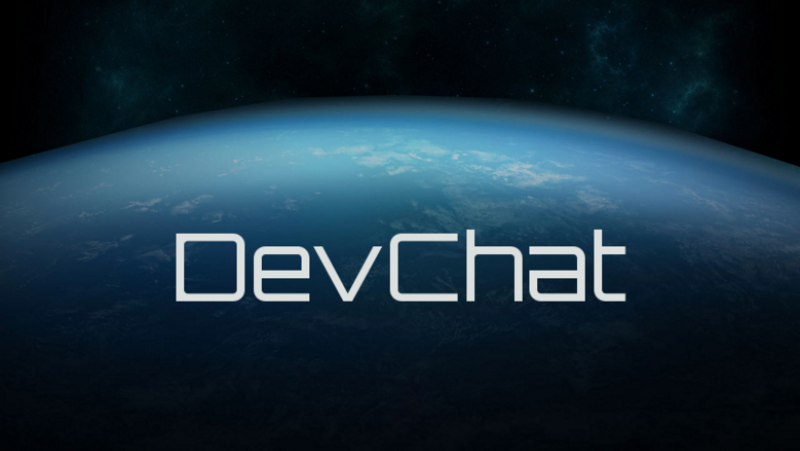 Welcome to another episode of DevChat, this time covering July 29th and 30th! After the 28th’s info-dump, it seems the Devs decided to be a bit more quiet on the 29th. Not too much today, except for some discussion about Time to Kill. (12:58:00 PM) CIG Matt Sherman: When it’s more ace-pilots fighting though, times will easily climb more into minutes, roughly 3-5min ideally for most top-skill fights. (12:58:48 PM) CIG Matt Sherman: Right now we’re seeing closer to 2-3m avg, which isn’t too far off considering it’s still the first week of the patch. (1:00:39 PM) CIG Matt Sherman: When we dial in TTK’s, the core comparison will always be more 1v1, trying to tune around uneven-sides leads nowhere really. (1:02:02 PM) CIG Matt Sherman: There’s still some tuning needed since we also need to get armor layered into things as well, but it’s definitely getting there. Fair amount of chatter on the 30th. Some Vanguard talk, some space talk, some networking talk, some talk about the current ‘issue’ on the Forums, and a bit of discussion about ship lore. And some random tidbits at the end, just for entertainments sake! The Vanguard is a hard-target killer. Not a Super Hornet / other small craft killer. (3:29:02 PM) CIG Matt Sherman: Stock Vanguard is still more suited against hard-targets. (3:29:15 PM) CIG Matt Sherman: It’s not going to be a SH-hunter/killer. (3:30:23 PM) CIG Matt Sherman: Not to my knowledge, no. It’s always been more suited for fighting bigger targets. (3:30:44 PM) CIG Matt Sherman: Really good pilots can probably take on some fighters as well, but they’re going to be the top-tier of pilots. (3:32:42 PM) CIG Matt Sherman: Ya, in the hands of an Ace who has really learned all the ins/outs of the Vanguard, they’ll probably have a better time against fighter-craft, but they’ll be the exceptions and not the norm. CIG’s Calix Reneau came up with a little rhyme, and then explained that decoupled rotation exists, but that they never put a button in. (3:59:49 PM) CIG Calix Reneau: well, the difference between coupled and decoupled is that couple tries to arrest vector, decoupled makes you do it. And now, for Matt Sherman’s thoughts on DX12. (6:06:55 PM) CIG Matt Sherman: Ya, overall, DX12 brings PC-dev capability a lot closer to the hardware optimization consoles have had for years. (6:10:51 PM) CIG Matt Sherman: IMO, if it’s focused more on graphics instead of enriching gameplay, it’d be completely wasted performance gains. (6:11:39 PM) CIG Matt Sherman: It’s part of why DX12 isn’t really adding many new features, its much more performance improvements than anything else. (6:13:10 PM) CIG Matt Sherman: Personally, I think performance differences with major-draw games excising obsolete hardware/apis from what’s supported will be way better to get people to switch than just pandering to vanity/visuals. Looks like there might be a PTU playtest on Sunday, to get as many people into 8v8 matches as possible. (7:01:30 PM) WLeverett.CIG: Who thinks we should have a PTU playtest on Sunday to get as many people as possible into 8v8 matches to test the game mode changes to Battle Royale and Squadron Battle? (7:08:09 PM) WLeverett.CIG: Btw I’ll create a post for Sunday’s PTU playtest. Really could use some testers on the new Squadron Battle and Battle Royale modes in 8v8. (10:15:40 PM) CIG Matt Sherman: Co-op forces you to cut out a lot of really good storytelling mechanics overall. Even in Divinity: OS, there’s some interesting choices, but nothing really that dramatic a change. (10:16:16 PM) CIG Matt Sherman: It’s not something easy to do if you want any sort of meaningful character interactions. Let alone the possible ways it breaks content. (10:16:51 PM) CIG Matt Sherman: Like Drop in/out co-op is more prohibitive than anything else unless the story isn’t the core draw. (10:18:18 PM) CIG Matt Sherman: It absolutely is prohibitive if you’ve ever developed for a game with drop in/out co-op. (10:21:59 PM) CIG Matt Sherman: It doesn’t have any options for more engaged storytelling or divergent plots, so it absolutely makes concessions. (10:23:05 PM) CIG Matt Sherman: If you’ve never developed for a drop in/out co-op game, it’ll seem a lot easier to do than it is, but from having worked on one for years, I can say with certainty it is far more complicated and problematic to use any real engaging storytelling. (10:25:18 PM) CIG Matt Sherman: Right, and we’re gonna have more compelling story choices, where things aren’t just copy-pasta to all players. Those compelling choices don’t really work with co-op. (10:32:39 PM) CIG Matt Sherman: Nope, it means we cut something to make sure the SQ42 campaign can actually have player-choice in the story, can actually have good character interactions, can actually have more “I caused that” moments than how the bulk of co-op games work. (10:33:14 PM) CIG Matt Sherman: And that’s just story-telling concerns, let alone content/encounter design becoming extremely more fragile when you start layering in unplanned-player entry to a game. (10:36:20 PM) CIG Matt Sherman: It still leads to far more problems than there ever would be benefits when you’re trying to tell a more compelling story. A little bit of levity now, in the form of the lore on Consolidated Outland. Long story short, Silas Koerner is a weird guy that thinks the Mustang looks cool. (11:52:48 PM) CIG Calix Reneau: but consolidated outland came here to shake up the game! Not to make good decisions. (11:53:39 PM) CIG Calix Reneau: this is clearly not the smartest company. And now, for the in-fiction difference between the 350r and the m50! (11:55:12 PM) CIG Calix Reneau: I’m not hiding behind the fictional manufacturer! It’s the actual lore! The 350r is what happens when a company takes a successful luxury model and tries to make it a competitive racer by pouring rocket engines into it. And just to see us out, I could really go for an ‘exacerbation’ Connie variant. (4:33:48 PM) CIG Matt Sherman: explodation may be too tricky, we’ll just stick to an exploitation variant. but not like game-exploits, but social-issue exploits.